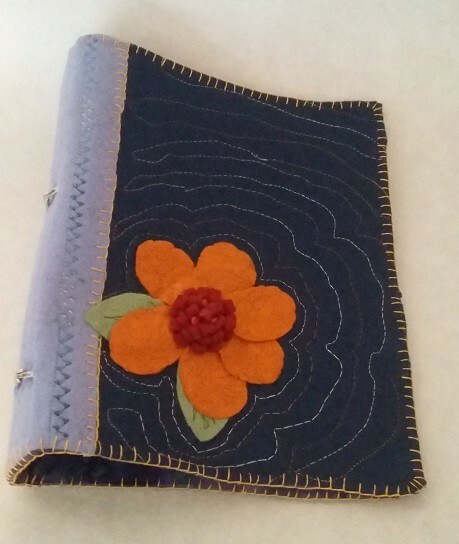 Here is my journal cover. I used wool felt for the outside. The flower is three-dimensional with beads in the middle. Most of the stitching is done by machine except for the blanket stitching around the edges. If the holes for the rings look a little off-center to you, that is because they are. I wanted to use my three-ring punch (yes I only using two holes) to punch my paper for the journal. It was a hard battle between balance and ease. Ease won. I still have a few more ideas for adding decoration, but for right now it is ready to start adding journal pages. It has been a very busy summer. My parents have been in need of extra help so I have been traveling between their home and mine most of the summer. On top of that my husband and I are trying to get our home ready to sell. Lots of painting going on. Even with all of that I have found a little time to work on my art journal. Here is my plan for the cover. Still: Living came up with this idea for a soft cover book. I took that idea and I am in the process of making the cover for my art journal. I have the basics done, I am now doing the handwork. 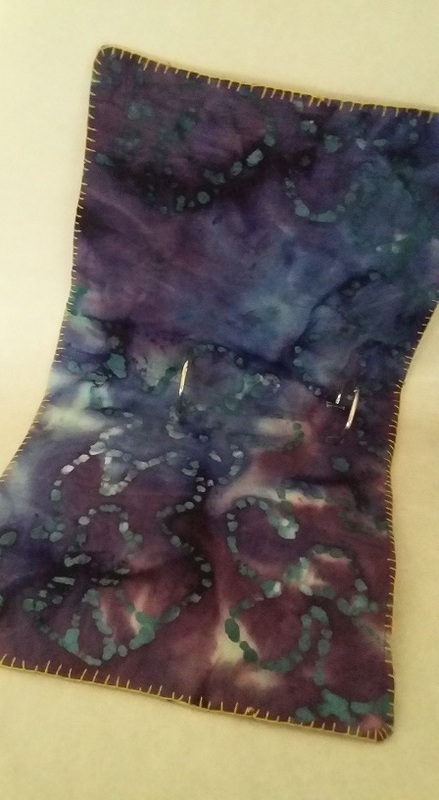 I wanted a cover that I could add the pages to, that way I have the freedom to use paper or fabric or anything I can put holes in. I will post pictures when completed. These pictures are from Still: Living.